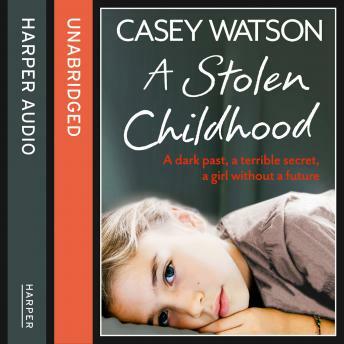 Bestselling author and teacher Casey Watson shares the horrifying true story of Kiera Bentley, a 12-year-old girl with a deeply shocking secret she's too young to even understand. When Casey first meets Kiera, a small slight girl who's just lashed out at a fellow pupil in assembly, she immediately senses something's wrong. Something in Kiera's eyes alerts Casey that this is an "old head on young shoulders", and with Kiera's constant tiredness and self-soothing habit of pulling her hair out, she follows her instinct and takes Kiera under her wing. At first the answer seems simple enough; Kiera's parents aren't together and they don't get on, which makes life hard for Kiera as she's so close to her dad. But as the weeks roll on, Casey begins to understand that there's something much darker going on behind closed doors. And when she finally learns the truth, she's terrified she won't be able to save Kiera from it.